Unicorns in the Streets: What is Genre, Anyway? J.K. Rowling just released her latest book yesterday, and surprise, surprise, it is not about wizards. Or magic. Or unicorns. She has firmly departed her old stomping grounds of children’s fantasy, and forayed into what might be called contemporary adult fiction. 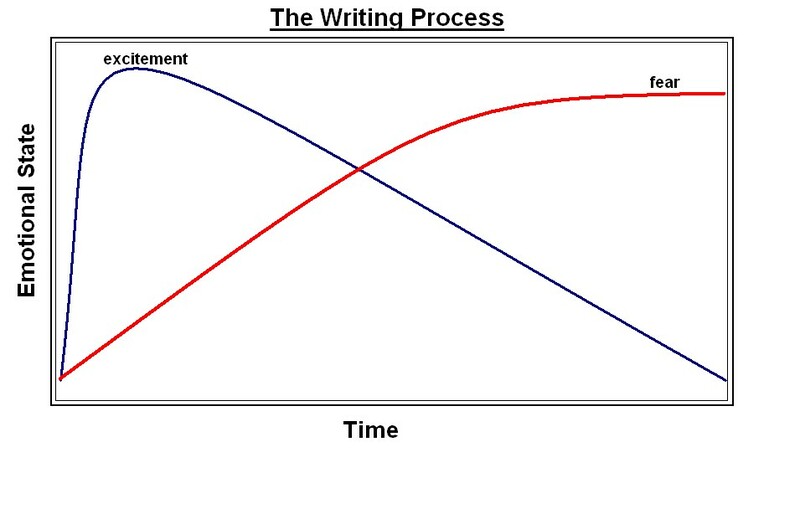 Which got me thinking – why do we draw such hard and fast lines between different types of writing, anyway? “I had a lot of real-world material in me, believe you me,” Rowling is quoted as saying. “The thing about fantasy—there are certain things you just don’t do in fantasy.” She makes it sound like the gulf between realism and fantasy is wide and impassable. But looking back over a history of literature, it doesn’t appear that there was always such a hard line between fantasy and realistic stories. The Iliad depicts a drawn-out conflict between two war-like groups, a situation that would’ve been somewhat familiar to people at the time. Yet fantastic elements such as the interference of gods and Achilles battling with a river are added without a second thought. In medieval literature, knights go off to fight dragons and mythical creatures, as well as more mundane enemies. Beowulf slays a dragon. King Arthur pulls a sword out of a stone. MacBeth consults with witches. The line between the realistic and the fantastic seems to be very blurry – perhaps to the point of not existing at all. Of course, part of the reason for this was that for historical peoples, the world was a mysterious place and mostly unknown. There really might’ve been dragons beyond the next hill, but you didn’t really know because you’d never gone there. In our modern times, we’ve lost that sense of wonder when we gained the ability to circumnavigate the world in hours, and map DNA down to the very last detail. Fantastic creatures such as unicorns and dragons just don’t belong in our everyday life, or even our typical imaginations. They are only acceptable sectioned off behind a little label called ‘Fantasy,’ with the understanding that ‘Fantasy’ and ‘Realism’ are very different things. I think it’s because we, as humans, like to know what to expect in stories. Not to know every detail, of course, but to be able to predict general outlines. If it’s a fantasy novel, it’s going to have magic, some kind of Dark Lord, and yes, maybe unicorns. If it’s a mystery novel, it’s going to have a murder – and probably someone who’s wrongfully accused, a detective of some sort, and a second murder that raises the stakes of the case. The readers know a bit of what to expect beforehand, so while hopefully the plot will keep them at the edge of their seats, they are still entering a comfortable world where events happen according to unspoken rules. A nice contrast to the randomness of reality. And genre conventions do go back a long way. The ancient Greeks didn’t have novels like we do, but they did divide their plays into two types: comedy and tragedy. The audience knew to expect different things in each one. Shakespeare also had comedies, tragedies and histories (slightly different from what the Greek meanings of those words were). Of course, not all Shakespeare plays fit into the categories assigned to them, proving that while genre is a useful concept, it does not solve all problems across the board. Creators want freedom to subvert conventions, including the conventions of genres. So there you have it. When J.K. Rowling announced her latest book was ‘adult realism,’ she (and her publishers) were signalling exactly what kind of audience they expected to buy the book. Genre is a useful tool for letting the reader know what to expect, but the categories are not the hard and fast categories we like to think of them as. Writers like to break rules, and more than that, categories and styles of literature have changed over the years. But does this mean a unicorn could never walk down the main streets of New York, and still be called ‘realistic’? Maybe not nowadays, but who can say about the future? I’ve realized that I write to escape from reality to a world I can (somewhat) control. So when I start it’s all excitement – I get to explore this situation, this new world, or a set of characters. But then comes fear: what if I screw this idea up (when it’s such a good idea)? What if I can’t write the characters as well as they deserve, and anyone who reads this story can’t see why I’m spending ages and ages describing what this loser does? What if I can’t figure out a way to resolve the plot in a satisfying and interesting way? As soon as fear creeps in, the desire to write becomes less and less. I put off writing the next bit until I’ve truly lost interest in the story or the characters, and wonder why it excited me so much in the first place. Then that stack of writing goes to join all the others on the shelf. I think I should remind myself why I like writing so much. 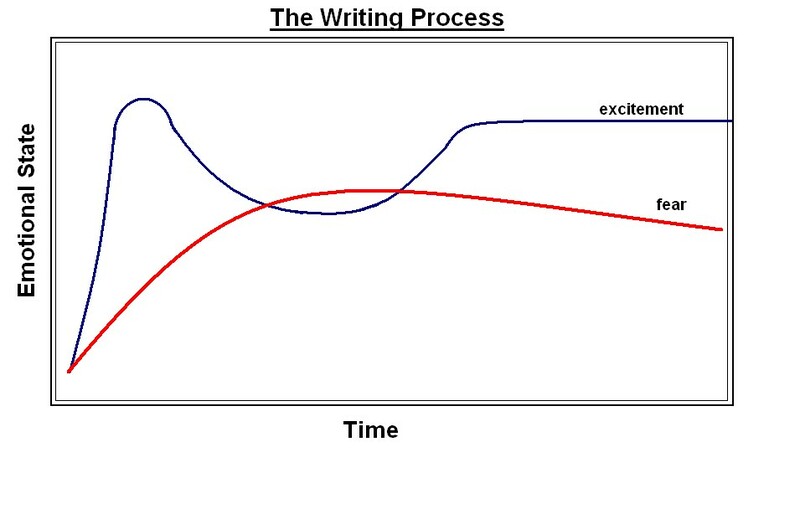 What do you think writer’s block is? Fear, lack of confidence, or just a plain lack of ideas?